Generic pharmaceutical products need to comply the same standards of quality, efficacy and safety as required of the innovator product. 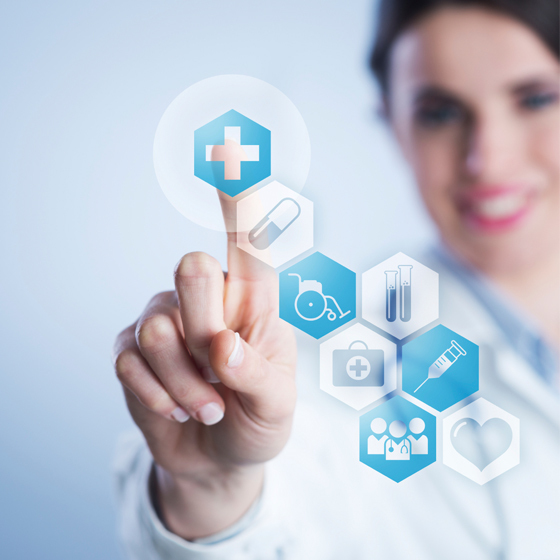 Generic drug market is expected to rise in coming future. Specifically, the Generic product should be therapeutically equivalent and interchangeable with the reference product. Present study highlights the regulatory guidelines for conduct of bioequivalence in India and the Gulf Cooperation Council States. There is no international harmonization of regulatory requirements for bioequivalence, however, bioequivalence range and statistical analysis are to some extent harmonized, but there are differences in selection of subjects, food effect, application of multiple dose study, in vitro dissolution study, reference product etc. In bioequivalence studies, the plasma concentration time curve is generally to assess the rate and extent of absorption. Selected pharmacokinetic parameters and preset acceptance limits allow the final decision on bioequivalence of the tested products. (AUC) the area under the concentration time curve reflects the extent of exposure. (C max) the maximum plasma concentration or peak exposure, and the time to maximum plasma concentration, (t max) are parameters that are influenced by absorption rate. Bioequivalence study is one of the main requirements for generic drug approval process. This review provides an easy and quick overview for regulatory consideration required for bioequivalence study in those regions. In this paper includes information about important aspects of bioequivalence study design and specifications guidelines of each parameters also have been addressed. Keywords: Bioequivalence, Bioavailability, Pharmacokinetics, GCC (Gulf Cooperation Council).
. Bioavailability / Bioequivalence: Current Draft Mar 2005 Requirements and Guidelines for Permission to Import and / or Manufacture of New Drugs for Sale or to Undertake Clinical Trials.
. BA and BE - Central Drugs Standard Control Organization http://www.cdsco.nic.in/forms/list.aspx?lid=1855&Id=1.
. CDSCO Guidelines for BA and BE studies http://www.pharmainfo.net/cdsco-guidelines-ba-and-be-studies.
. Ethical Guidelines for Biomedical Research on Human Participants (published by the Indian Council of Medical Research): Oct 2006.
. Guidelines for bioavailability & bioequivalence studies – CDSCO http://www.cdsco.nic.in/html/be%20guidelines%20draft%20ver10%20march%2016,%.pdf.
. GCC Guidelines for Bioequivalence Retrieved from The https://www.sfda.gov.sa/en/drug/drug_reg/Regulations/GCC_Guidelines_Bioequivalence.pdf.
. Nitika K et al (2016) Study of Regulatory requirements for the conduct of bioequivalence studies in US, Europe, Canada, India, ASEAN and SADC countries: Impact on generic drug substitution. J Applied Pharmaceutical Science 6 (04 206-222. Doi: 10.7324/japs.2016.60430.
. Pre-Screening revised checklist for BA/BE NOC for Export http://www.cdsco.nic.in/writereaddata/BABE_Prescreening%20checklist%202014.pdf.
. Rani S, et al (2004) Bioequivalence: An overview of statistical concepts. Indian J Pharmacology 36: 209-216.
. Revised checklist for BA/BE NOC effective from 01st February 2014 http://www.cdsco.nic.in/writereaddata/BABE%20website%202014%20revised%20document%2 0required.pdf.
. Srivastav AK et al (2013) A Review Article on Bioavailability and Bioequivalence Studies. Intl J PharmTech Research4 (4) 1711-1721.
. Schedule Y – Amended Version, Jun 2005 GCP: 2005 Submission of Clinical Trial Application for Evaluating Safety and Efficacy: v1.1 Dec 2008.
. Tamboli AM et al (2010) An Overview on Bioequivalence: Regulatory Consideration for Generic Drug Products. J Bioequiv Availab 2:086-092. doi: 10.4172/jbb.1000037.
. Upendra CG et al (2014) Study on requirements of bioequivalence for registration of pharmaceutical products in USA, Europe and Canada. Saudi Pharmaceutical J 22, 391-402. Musculoskeletal pain is one of the most prevalent occupational health disorders affecting all spheres of human endeavours with various predisposing factors being reported among hospital workers. 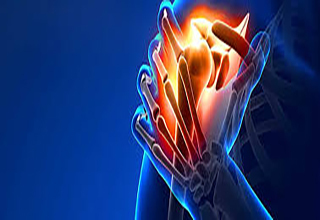 This study determined the prevalence of musculoskeletal pains, knowledge and practice of ergonomics among clinical and non-clinical staff of University of Uyo Teaching Hospital, Uyo, Akwa Ibom State (UUTH). A total of 284 Participants were involved in this cross-sectional study, consisting of 153 clinical staff (49 males; 32%) and (104 females; 68%); mean age of 36±11.0 years, age range of 24 – 59 years; and 131 non-clinical workers of 62 males (47.3%) and 85 females (52.7%); mean age 38±14.0 years, age range of 20 – 58 years. Results showed that non-clinical staff had a higher annual prevalence of musculoskeletal pains (79.4%). Pains were mostly distributed to the low back region for both groups. Nurses were mostly affected (35%). Years of work experience was not significantly associated with musculoskeletal pain (p = 0.194). However, other factors assessed were significantly associated (p<0.05) with musculoskeletal pains in both groups. The knowledge of ergonomics and compliance to work safety regulations was high among the non-clinical staff than in the clinical staff. Improving the working condition of hospital workers and periodic seminars on work safety was recommended to reduce the prevalence of musculoskeletal pains among them. Keywords: Work-Related Musculoskeletal Pain, Ergonomics.
. Agbor A.M. and Hilbert K (2016). Work-related musculoskeletal disorders among oral health workers in cameroon. Journal of Oral Health and Dental Management; 15.
. Akinpelu A.O., Odole A., Odejide A.S. (2010). Prevalence and Pattern of Musculoskeletal Pain in a Rural Community in Southwestern Nigeria. The Internet Journal of Epidemiology, 8:39.
. Ando, S. Ono, Y. Shiamoke, M. Hiratu, S., Hatton, Y., Horr, F. Takeuchi, Y. (2000). Association of self- estimated workloads with musculoskeletal symptoms among hospital nurses; Occupational and Environmental Medicine, 57:211-216.
. Ashburn, M. A, and Staats, P. S, (1999). Management of chronic pain, lancet, 9167:1865-9.
. Barbosa A. A, Santos A. M. C, Gonçalves R. V, Viana S. O and Sampaio R. F (2006). Prevalência de dor osteomuscular na equipe de enfermagem no hospital da policia militar de Minas Gerais. Fisioter Mov.;19(3):55-63.
. Bejia I, Younes M, Jamila HB, Khalfallah T, Ben Salem K, Touzi M (2005). Prevalence and factors associated to low back pain among hospital staff. Joint Bone Spine; 72:254–9.
. Blyth, F .M, March, L. M, Bmabic, A.J.M, Jorm, L. R, Williamson, M and Cousins, M. J. (2001). Chronic Pain In Australia; A Prevalence Study of Pain. U.S national library of medicine 89(2-3):127-34.
. Bruusgaard D (2003). International monitoring of musculoskeletal complaints: a need for consensus. European Journal of Public Health; 13: 20-23.
. Campo M.A., Weiser S., Koeing K.L. and Nordin M. (2008). Work-related musculoskeletal disorders in Physical Therapists: a prospective cohort study with 1-year follow-up. Physical Thearpy; 88(5): 608-19.
. Centre for Disease Control and Prevention (2001). National occupational research agenda for musculoskeletal disorders. Cincinnati National institute for Occupational Safety and Health.
. Chen J. C., Chang W. R., Chang W and Christiani D (2005). Occupational factors associated with low back pain in urban taxi drivers. Occupational Medicine. 55(7): 535-540.
. Choobineh A, Movahed M, Tabatabaie S, Kumashiro M (2010). Perceived demands and musculoskeletal disorders on operating room nurses of Shiraz city hospital. Indian Health; 48:74–84.
. Cromie, J. E, Robertson, V. J. and Best, M. O. (2000). Work-related musculoskeletal disorder in physical therapists: prevalence, severity, risks and responses. Journal of American Physical Therapy Association. 80: 336-351.
. Evanoff, B. A. (1999). Epidemiology: physical factors in work-related Muscukloskeletal disorders. American Journal of Epidemiology, 14: 788-791.
. Freimann T., Coggon D., Merisalu., Animagu L. and Paasuke M (2013). Risk factors for musculoskeletal pain amongst nurses in Estonia: a cross sectional study. BMC Musculoskeletal Disorders. 14: 334. http://www.biomedicentral.com/1471-2474/14/334. Accessed on 29th March, 2017.
. Glover, W, Mcgreor, A, Sullivian, C. And Hagu, J, (2005). Work-related muscolskeletal disorders affecting members of the Chartered Society of Physiotherapy. Physiotherapy.
. Gurgueira G. P, Alexandre N. M. C and Correa H. R. F (2003). Prevalência de sintomas musculoesqueléticos em trabalhadores de enfermagem. Rev Latino-Am Enferm. 11(5): 608-13. http://dx.doi.org/10.1590/S0104-11692003000500007.
. Hoogendoorn W. E, Van Poppel M. N, Bongers P. M, Koes B. W, Bouter L. M (1999). Physical load during work and leisure time as risk factors for back pain. Scand J Work Environ Health. 25(5):387-403. PMid:10569458. http:// dx.doi.org/10.5271/sjweh.451.
. International Association for the Study of Pain, (2009). Musculoskeletal Pain. https://www.iasp-pain.org. Retrived 24th March, 2017.
. International ergonomics Association (2002). “what is ergonomics” http://www.iea.com. Retrieved on 19th March, 2017.
. Jellad A, Lajili H, Boudokhane S, Migaou H, Maatallah S and Frih Z. B. S (2013). Musculoskeletal disorders among Tunisian hospital staff: Prevalence and risk factors. Egyptian Society for Joint Diseases and Arthritis, 1110-1164. http://dx.doi.org/10.1016/j.ejr.2013.01.002.
. Josephson M, Largerstrom M, Hagberg M, and Hjelm E. W. 1997. Musculoskeletal symptoms and job strain among nursing personnel: a study over a three-year period. Occupational and Environmental Medicine, 52:47-57.
. Karahan A., Kav S., Abbasoglu A and Dogan N (2009). Low back pain: prevalence and associated risk factors among hospital staff. Journal of Advanced Nursing; 65(3), 516–524.
. kromark K, Dulon M, Beck B, Nienhaus A (2009). Back disorders and lumbar load in nursing staff in geriatric care: a comparison of home-based care and nursing homes. Journal of Occupation and Medical Toxicology; 4:33–42.
. Kuorinka I., Jonson B., Kilbom A., Vinterberg H., Biering-Sorensen F., Andersson G. and Jorgensen K. (1987). Standardised Nordic questionnaires for the analysis of musculoskeletal symptoms. Applied Ergonomics; 18.3, 233-237.
. Long MH, Johnston V and Bogossian F (2012). Work-related upper quadrant musculoskeletal disorders in midwives, nurses and physicians: a systematic review of risk factors and functional consequences. Application of Ergonomics. 43:455–67.
. Magnago TSBS, Lisboa MTL, Griep RH, Kirchhof ALC, Guido LA (2010). Psychosocial Aspects of Work and Musculoskeletal Disorders in Nursing Workers. Rev Latino-Am Enferm; 18(3):429-35. http://dx.doi.org/10.1590/S0104-11692010000300019.
. Mehrdad R, Tigh Dennerlein J, and Morshedizadeh, (2012). Musculoskeletal Disorders and Ergonomic Hazards among Iranian Physicians. Arch Iran Med, 15(6): 370 – 374.
. Meijesen P. and Knibbe H. J (2007). Work-related musculoskeletal disorder of perioperative personnel in the Netherlands. AORN Journal; 86: 193 – 208.
. Menzel N. N (2008). Under reporting of musculoskeletal disorders among healthcare workers: Research needs. AAOHN Journal; 56:487-94.
. Moison S, Calory S, Juret I, Brinon C, Josselin V and Guiho-Bailly M. P (2009). Prevention of musculoskeletal disorders in hospital workers: exposure assessment and assistive devices for patients handling. Arch Mal Prof Environ. 70:13–27.
. Mosby, E, (2006). Mosby’s dictionary medicine nursing and health professions. 7th ed. Westline industrial drive, St Louis, Missouri.
. Ngan K, S. Drebit, S. Siow, S. Yu, D. Keen, H. Alamgir (2010). Risks and causes of musculoskeletal injuries among health care workers. Occupational Medicine (Lond) 60 (5): 389-394. doi: 10.1093/occmed/kqq052.
. Maumet S, De Gaudemaris R, Caroly S, Balducci F (2005). Risk factors related to musculo skeletal disorders in health care workers. Elements to take into consideration of risk assessment procedures. Arch Mal Prof Environ; 66:236–43.
. Nordin N. A. M., Leonard J. H., Thye N. C (2011). Work-related injuries among Physiotherapists in public hospitals: A south-east Asian picture. Clinics; 66(3): 373-378. Doi:10.1590/51807-59322011000300002.
. Norton, A. M, and Maria, C. C. B. (2009). Quality of life and musculoskeletal symptoms in hospital housekeeping workers. Journal of Nursing University of Sao Paulo; 43(2):419-25. http://www.scielo.br/reeusp.
. Nwabuokei C.S (1986) Research Methods in Management Sciences, High Mega System, Enugu. Omokhodion F. O and Sanya A. O. (2003) Risk factors for low back pain among office workers in Ibadan, Southwest, Nigeria. Occupational Medicine, 53 (4): 287-289.
. Omokhodion F. O, Umar S. R, and Ogunnowo B. E. (2000). Prevalence of low back pain among staff in a rural hospital in Nigeria. Occupational Medicine, 50: 107-110.
. Phongamwong C., Mungkumpa A., Pawapootanon W., Saiyotha K and Duangtapha C (2014). The Impact of musculoskeltal pain on health-related quality of life in Fort Prajaksolapakom hospital. Journal of Medical Association of Thailand; 97(2): S181-S187. http://www.Jmatonline.com. Accessed on 29th March, 2017.
. Roberta F. C. Moreira, Tatiana O. Sato, Fabiana A. Foltran, Luciana C. C. B. Silva, Helenice J. C. G. Coury (2014). Prevalence of musculoskeletal symptoms in hospital nurse technicians and licensed practical nurses: associations with demographic factors. Brizilian Journal of Physical Therapy. 18(4):323-333.
. Rozenfeld V., Ribak J., Danziger J., Tsamir J., and Carneli E. (2010). Prevalence, risk factors and preventive strategies in work-related musculoskeletal disorder among Isreali physical therapist. Physiotherapy Research International; 176-84.
. Rusli B.N., Naoh R.M., Oxley J.A., Quek K.F and Amin N.A. (2016). Work-related musculoskeletal disorders in female Nursing personal: Prevalence and impact. International Journal of Collaborative Research on internal Medicine & Public Health; 8:3.
. Salik Y. and Özcan, A. (2004). A Work-related musculoskeletal disorder: A survey of physical therapists in Izmir-Turkey. BMC Musculoskeletal Disorder, 5:27.
. Shafiezadeh, K. R. (2011). Prevalence of musculoskeletal disorders among Paramedics. International journal of occupational and environmental medicine, 2:3.
. Smith D. R. and Leggat P.A. (2004). Musculoskeletal disorders among rural Australian Nursing students. Australian Journal of Rural Health. 12: 241-5.
. Smith D.R, Kondo N, Tanaka E, Tanaka H, Hirasawa K and Yamagata Z. (2003). Musculoskeletal disorders among hospital nurses in rural Japan. Rural and remote health Journal, 241:3.
. Smith D. R., Wei N., Ishitake T. and Wang R. S. (2005). Musculoskeletal disorders among chinese medica students. Kurume Medical Journal; 52: 139-46.
. Tezel A (2005). Musculoskeletal complaints among a group of Turkish nurses. International Journal of Neuroscience. 115(6):871- 80. P M i d: 1 6 0 1 9 5 8 0. h t t p: / / d x. d o i. org/10.1080/00207450590897941.
. Thornton L. J., Barr A. E., Stuart-Buttle C., Gaughan J. P., Wilson E. R., and Jackson A. D. (2008). Perceived musculoskeletal symptoms among dental students in the clinic work environment. Ergonomics; 51: 573-86.
. Tullar J. M, Brewer S, Amick B. C, Irvin E, Mahood Q, and Pompeii L. A, (2010). Occupational safety and health interventions to reduce musculoskeletal symptoms in the health care sector. Journal of Occupational Rehabilitation; 20(2):199-219. PMid:20221676. http://dx.doi.org/10.1007/ s10926-010-9231-y.
. Udoye C. and Aguwa E. (2006). Musculoskeletal symptoms: a survey amongst a selected Nigerian Dentists. The Internet Journal of Dental Science; (5):1.
. Wearing S. C., Hennig E. W., Byrne N. M., Steele J. R., and Hills A. P (2006). Musculoskeletal disorder associated with obesity: a biomechanical perspective. Obesity Reviews; 7: 239-250.
. Yeung S.S., Genaidy A., Deddens J and Sauter S (2005). The relationship between protective and risk characteristics of acting and experienced workload, and musculoskeletal disorder cases among nurses. Journal of Safety Research. 36(1): 85-95.
. Yip V. Y. (2004). New low back pain in Nurses: work activities, work stress and sedating lifestyle. Journal of Nursing. 46: 430-440.
. Waters T. R and Nelson A (2007). Proctor C. Patient handling tasks with high risk for musculoskeletal disorders in critical care. Critical Care in Nursing Clinical North America. 19(2):131- 43. PMid:17512469. http://dx.doi.org/10.1016/j. ccell.2007.02.008.
. Waters T, Collins J, Galinsky T, Caruso C (2006). NIOSH research efforts to prevent musculoskeletal disorders in the healthcare industry. Orthopaedic Nursing. 25(6):380-9. PMid:17130760. http://dx.doi.org/10.1097/00006416-200611000-00007. Background: HIV infection/AIDS remains a worldwide public health challenge. Globally, there were approximately 36.9 million people living with HIV (PLWHIV) at the end of 2017. We conducted this study to determine factors influencing non-adherence to antiretroviral therapy among PLWHIV attending Federal Medical Centre (FMC), Gusau, Zamfara State, Nigeria. Method: We conducted a mixed-methods study (cross-sectional study and focus group discussions) 183 respondents were sampled from ART unit of FMC Gusau, using systematic random sampling technique. A semi-structured questionnaire was used to collect data on socio demographic and adherence related information. All HIV/AIDS patients who have been on ART for at least 30 days were included in the study. Adherence was self-reported (30 days recall), and those with at least 95% were classified as adherent. Bivariate and multivariate analyses were conducted. Qualitative data was analyzed using content analysis. Results: of 183 respondents, 141 (77.05%) were females with mean age of 34.2 ±8.7 years. 155 (84.7%) had ≥95% adherence level. Fear of stigma (AOR 126.47; C.I: 12.06-1326.75), Forgetfulness (AOR 30.40; C.I: 7.61- 121.48), Being too ill (AOR 37.80; C.I: 5.00-287.25), Felt better (AOR 31.94; C.I: 1.86-547.93), Inability to pay for transport to clinic (AOR 31.84; C.I: 2.15-472.23), were significantly correlated with non-adherence to ART. Similarly, the FGDs also revealed stigma and discrimination, Forgetfulness, and side effects contributing to non-adherence. Conclusion: The level of adherence to ART was slightly lower than the optimum desirable level. The decentralization of treatment centers to primary health care centers and intensification of public enlightment was recommended. Keywords: HIV/AIDS, Adherence, Antiretroviral therapy, Nigeria. .Alakija KS, Abayomi F, James AO, Olufemi D. Factors influencing adherence to antiretroviral medication in Ilorin, Nigeria. Journal of the International Association of Physicians in AIDS Care (JIAPAC) 2010; 9:191. .Ekama SO, Herbertson EC, Addeh EJ, Gab-Okafor CV, Onwujekwe DI, Tayo F, et al. Pattern and Determinants of Antiretroviral Drug Adherence among Nigerian Pregnant Women. Journal of pregnancy 2012 Jan 2012:851810. .Chijioke AN, Osaro E, Oseikhuemen AE, Chris IA. Adherence to ART among HIV-Infected Subjects in a Resource-Limited Setting in the Niger Delta of Nigeria. Afr J Health Sci. 2006; 13:3–4. .Campbell JI, Ruano AL, Samayoa B, Estrado Muy DL, Arathoon E, Young B. Adherence to antiretroviral therapy in an urban, free-care HIV clinic in Guatemala City, Guatemala. Journal of the International Association of Physicians in AIDS Care (Chicago, Ill.: 2002). 2010 Jan 1 9(6):390–5. .Federal Ministry of Health Abuja Nigeria. National Guidelines for HIV and AIDS Treatment and Care in Adolescents and Adults. October 2010. .Falang KD, Akubaka P, Jimam NS. 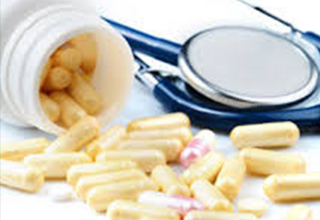 Patient factors impacting antiretroviral drug adherence in a Nigerian tertiary hospital. Journal of pharmacology & pharmacotherapeutics [Internet]. 2012 Apr [cited 2013 Feb 3]; 3(2):138–42. .HIV/AIDS Fact sheet N*360 available at www.int/mediacentre/factsheet/fs360/en/. .Iliyasu Z, Kabir M, Abubakar IS, Babashani M, Zubair ZA. Compliance to antiretroviral therapy among AIDS patients in Aminu Kano Teaching Hospital, Kano, Nigeria. Nigerian journal of medicine: journal of the National Association of Resident Doctors of Nigeria, 14(3):290–4. .National Agency for the Control of AIDS (NACA) (2007) Nigeria UNGASS Report. In: Strategic planning and research, editor. Abuja: NACA. pp. 20.
. Monjok E, Smesny A, Okokon IB, Mgbere O, Essien EJ. Adherence to antiretroviral therapy in Nigeria: an overview of research studies and implications for policy and practice. HIV/AIDS (Auckland, N.Z.) 2010; 2:69–76.
. Olowookere SA, Fatiregun AA, Adewole IF. Original Article Knowledge and attitudes regarding HIV / AIDS and antiretroviral therapy among patients at a Nigerian treatment clinic. Jinfect Dev Ctries. 2012: 6(11): 809-816.
. Olowookere SA, Fatiregun AA, Akinyemi JO, Bamgboye AE, Osagbemi GK. Original Article Prevalence and determinants of non-adherence to highly active antiretroviral therapy among people living with HIV / AIDS in Ibadan, Nigeria. J Infect Developing countries 2008; 2(5):369-372.
. Pennap GR, Abdullahi U, Bako IA. Adherence to highly active antiretroviral therapy and its challenges in people living with human immunodeficiency virus (HIV) infection in Keffi, Nigeria. Journal of AIDS and HIV Research 2013; February 5(2):52–8.
. Potchoo Y, Tchamdja K, Balogou A, Pitche VP, Guissou IP, Kassang EK. Knowledge and adherence to antiretroviral therapy among adult people living with HIV/AIDS treated in the health care centers of the association “Espoir Vie Togo” in Togo, West Africa. BMC clinical pharmacology 2010 Jan 10:11.
. Shaahu VN, Lawoyin TO, Sangowawa AO. Adherence to highly active antiretroviral therapy (HAAT) at a Federal Medical Centre. African journal of medicine and medical sciences. 2008 Mar 37(1):29–36.
. Sullivan PS, Campsmith ML, Nakamura GV, Begley EB, Schulden J, Nakashima AK. Patient and regimen characteristics associated with self-reported non-adherence to antiretroviral therapy. PloS one [Internet]. 2007 Jan [cited 2013 Feb 3]; 2(6):e552.
. UNAIDS (2009) Epidemiological factsheet. Nigeria. Geneva: UNAIDS.
. UNAIDS (2009) HIV and AIDS estimates (Nigeria). Geneva; UNAIDS. Available at www.unaids.org.
. UNAIDS: Global Report: UNAIDS Report on the global aids epidemic 2010.
. Uzochukwu BSC, Onwujekwe OE, Onoka AC, Okoli C, Uguru NP, Chukwuogo OI. Determinants of non-adherence to subsidized anti-retroviral treatment in southeast Nigeria. Health Policy and Planning. 2009 Mar 10 24(3):189–96.
. Wasti SP, Simkhada P, Randall J, Freeman JV, van Teijlingen E. Factors influencing adherence to antiretroviral treatment in Nepal: a mixed-methods study. PloS one 2012 Jan 7(5):e35547.
. Zamfara State Ministry of Health. State strategic health development plan 2010-2015, 2010. Pp 15.